Are you making some fabulous memories outside this summer? Whether you’re road tripping in a camper, sleeping under the stars or going on a day hike, the outdoors has a lot to offer. Here are 7 Projects Inspired by the Great Outdoors. All of these supplies are available at Ben Franklin Crafts and Frames in Redmond. 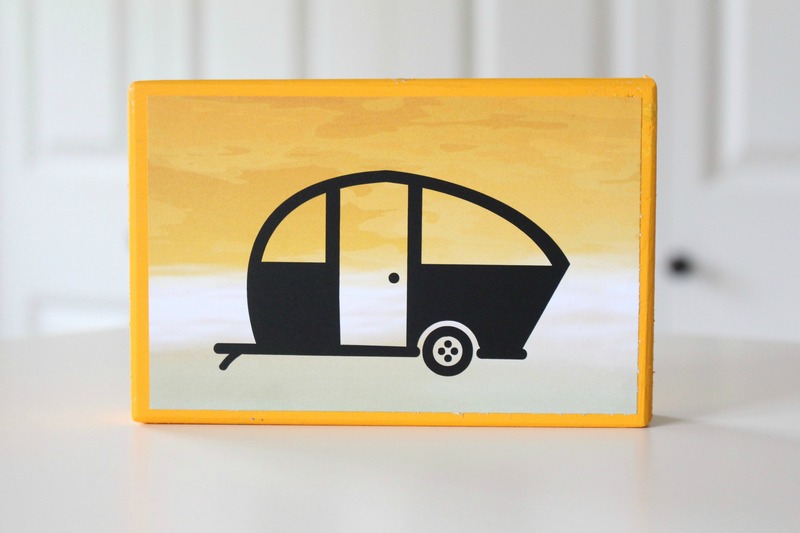 Supplies: Chipboard camper shape, Acrylic paint in maize, light turquoise, black and white, thick and thin paint brushes. 1.Using the photo as a guide, use the larger paintbrush to paint the top of the camper maize and the bottom light turquoise. 2.Mix some white paint into the black to make gray and draw the door and trim on the front of the camper with the thin paintbrush. 3.Then use that gray shade to outline the outside of the camper. 4. Finally paint the “hitch” with that gray color. 5. Dip the handle of a a paint brush into the black paint to draw the banner. 6. Add some white paint to the turquoise to create the pennants. 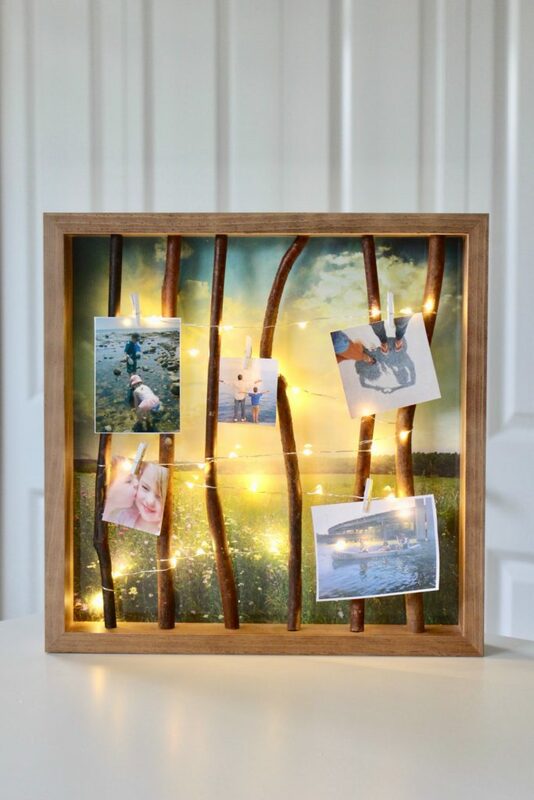 Supplies: 12 x 12 shadowbox frame, outdoor themed scrapbook paper, bundle of twigs measuring 12 inches, firefly lights, small wooden clothespins and hot glue. 1.Remove the back of the frame. 2. Place the twigs inside the frame. You can secure them with hot glue. 3. Working from the back twist the firefly lights around the twigs, wrapping them around. Pull excess wire/cord through one side of the frame. 4. 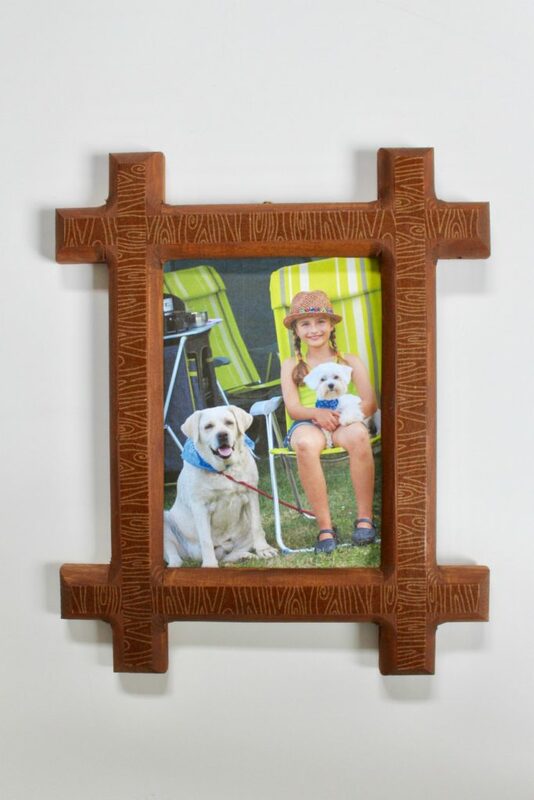 Add scrapbook paper, and glass to the frame. 5. Place mini clothespins and show off your favorite photos. 6. Turn on firefly lights. 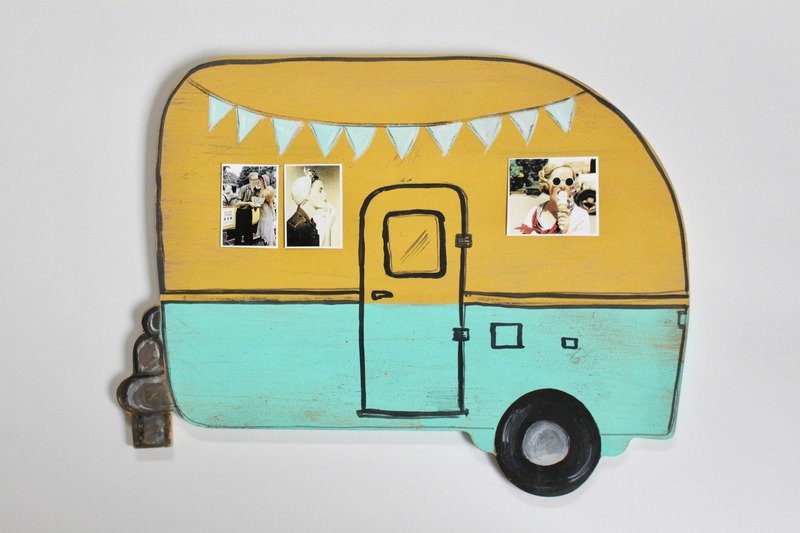 Supplies: wood frame, camper themed Duck Tape and scissors. Directions: Trim Duck tape to 1 1/2 inches and add to frame. Supplies: Six wooden squares, acrylic paint in raw umber and charcoal, sponge spouncers and Mod Podge Outdoor Sealer. 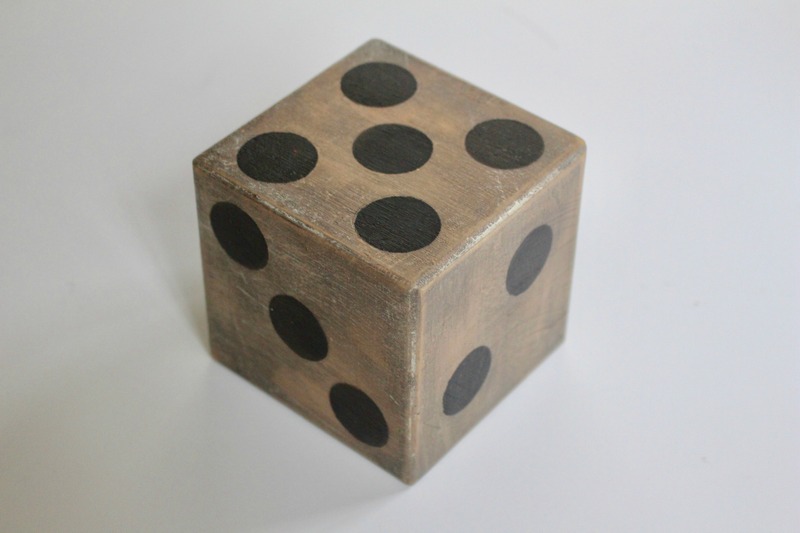 Directions: Paint the blocks with raw umber. Use the spouncer to make circles on each side of each die, 1-6. Finish with a coat of Mod Podge Outdoor Sealer. Store the die in the wooden box. 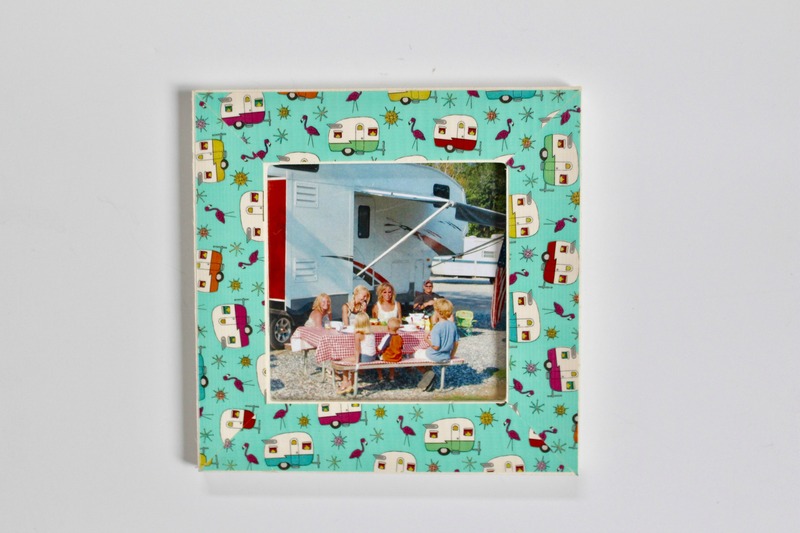 Supplies: wooden block, maize paint, scrapbook paper (we used Summertime Paradise from Reminisce), Mod Podge, scissors and camper vinyl from Decorating Your Life. Directions: Paint the block maize. Trim the scrapbook paper to fit on top of the block, leaving some room for the paint to show. Adhere the paper with Mod Podge. Following the package instructions, add the vinyl. Supplies: wood frame, wood grain patterned wash tape and brown paint. Directions: Paint frame. Add washi tape. Supplies: small wood block, scrapbook paper (we used Simple Stories Cabin Fever) and acrylic paint (we used Heritage Brick), Mod Podge and scissors. Directions: Paint the block Heritage Brick. Trim the scrapbook paper to fit on top of the block, leaving some room for the paint to show. Adhere the paper with Mod Podge. Great ideas! I especially love the last one. 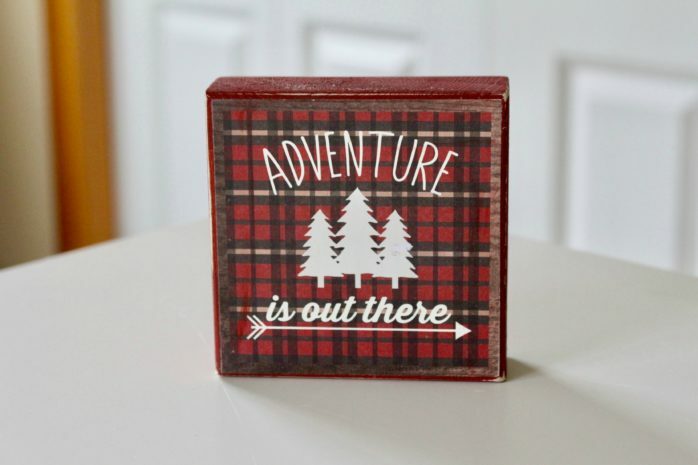 Maybe because I’ve always thought it would be fun to have a rustic log cabin in the woods to escape to.